Pheasant Lodge in Staithes, near Whitby, Yorkshire sleeps 2 people. Pheasant Lodge near Whitby is a single-storey, detached lodge which set in a quiet part of the picturesque fishing village of Staithes in the North York Moors National Park. With a small enclosed courtyard and an open-plan living space as well as private parking, Pheasant Lodge is the perfect base in which to relax after a day of exploring this fantastic coastal area. Staithes Beck runs alongside the site with its own waterfall and wildlife. This charming and sleepy seaside village of Staithes, with its cobbled streets and back alleys, is considered something of an artist’s dream, and even has its own popular Art and Heritage Festival along with regular workshops and artisan displays. The pretty houses and cottages dotted around the old harbour are surrounded by high craggy cliffs on three sides, and a sheltered sandy beach is set amongst the rocky coastline. Steeped in history, Captain Cook served his apprenticeship in Staithes, and there are many old buildings to admire and a museum to take you back in time. Modern day Staithes is a must for anyone visiting the Yorkshire coast and has a good selection of pubs, shops and tea rooms. Staithes is still home to a RNLI lifeboat station, and a small fleet of cobles (fishing boats) land their catch of fish, crab and lobster. There are also boat trips for birdwatching, fishing and whale watching available. An ’Illusion Trail’ guides visitors around the network of backstreets and alleyways. The best views of the town can be enjoyed from the Cleveland Way which runs down the cliff to the seashore. The Cleveland Way stretches its way along this dramatic coastline and is a firm favourite with walkers as it drops into many hidden bays and coves such as Robin Hood’s Bay and Saltburn-by-the-Sea. The wonderful town of Whitby is just 10 miles away with its regular events and festivals including the Goth Weekend, a regatta and regular live music events to complement its many fabulous restaurants and bars, tea rooms and delis. Try climbing the 199 steps up to the abbey and St Mary’s Church from where you can take in the breathtaking views down into the town and out to sea. Head inland to enjoy a myriad of walking and cycling routes that the National Park has to offer, enjoy a warm welcome in one of the many village inns dotted across the moors, or take it easy on board a steam train journey into the heart of this beautiful part of the world. Surf enthusiasts will enjoy Saltburn-by-the-Sea with its numerous surf schools and there are plenty of courses for the golfers. Alternatively, just sit back and relax and enjoy the peace and tranquillity around Pheasant Lodge. The beach is ½ mile from Pheasant Lodge near Whitby. With the shop 500 yards, and the pub & restaurant are 700 yards from Pheasant Lodge. Living area: With 28’’ Freeview TV and bluetooth speaker. Electric central heating, electricity, bed linen and towels included. Enclosed courtyard with sitting-out area and garden furniture. Private parking for 1 car. No smoking. Holidays at Pheasant Lodge run from Friday to Friday. Pheasant Lodge is in North Yorkshire; should you be on the lookout for a special offer, you can find all the special offers in North Yorkshire. It's always worth checking to see what is on offer at the moment. 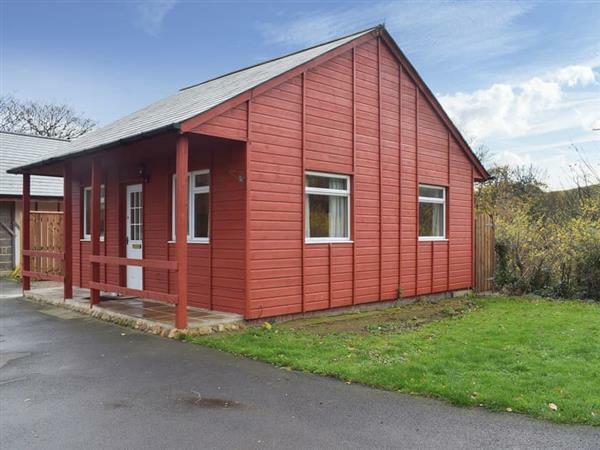 Do you want to holiday near Pheasant Lodge (UK2593), you can see other cottages within 25 miles of Pheasant Lodge; have a look to find your perfect holiday location.